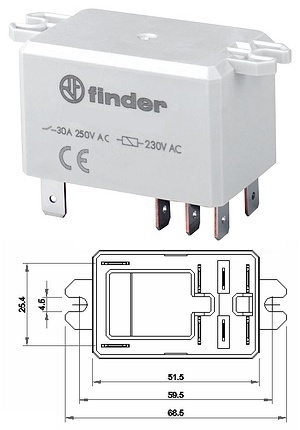 A panel mounting mechanical change-over relay for loads up to 30A at 230Vac. The connections are 6.4mm crimp tabs. The flanges on each end are used for mounting the relay on a panel.